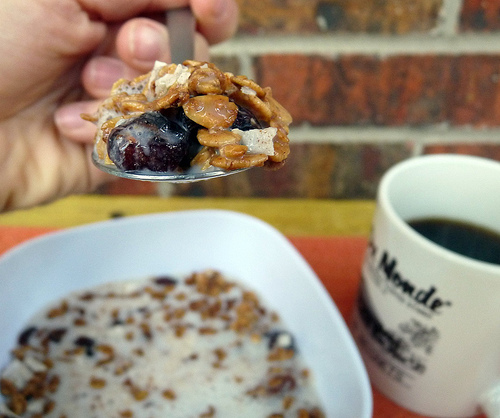 Better Than Never: Love Grown Granola Giveaway! 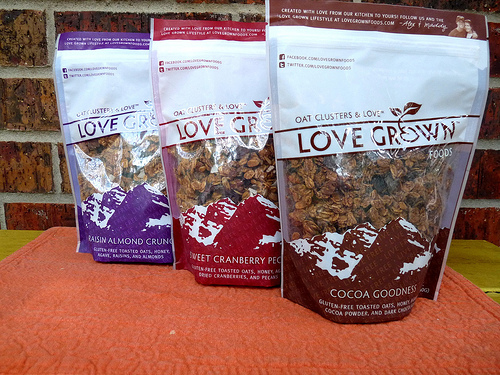 A few weeks ago, the nice folks at Love Grown Foods emailed me and offered to send along a few bags of their granola. First, I was confused. Why would someone offer me free stuff? 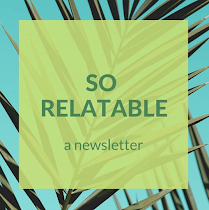 I'm not a famous blogger and I have a modest (but awesome!) readership. Then I thought, well. Why not? Once I read a bit about the company I realized I was, after all, their target market and that this was a company I could get behind. So I said yes to the granola and was excited when it arrived at my door! Love Grown Foods was founded by Alex and Maddy, who met and fell in love while attending the University of Denver. "Both of the young entrepreneurs have a great love for the outdoors, an enthusiasm for active lifestyles, and are passionate about health. With Alex’s business knowledge and Maddy’s talent for healthy–yet delicious–cooking, it made perfect sense to start a health‐food company. With drive and excitement, Love Grown Foods was born." Sounds delicious to me! I was sent three bags of granola to sample - Raisin Almond Crunch, Sweet Cranberry Pecan and Cocoa Goodness. Of the three, Sweet Cranberry Pecan was my favorite - the salty nuts and the tart cranberries complemented each other perfectly. The Raisin Almond Crunch came in at a close second, and surprisingly the Cocoa Goodness was third. I liked the chocolaty granola, but it was a little sweet for breakfast (my preferred granola eating time). I think Cocoa Goodness would be great as a yogurt topper for an after dinner dessert, however. Yum. I'm getting hungry just thinking about it! Granola is one of my favorite foods. In college, I was known to bring a plastic bag to the dining hall and clean out their granola station, smuggling it back to my dorm room under my coat. 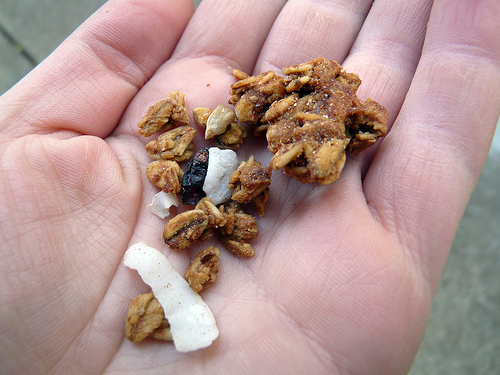 I like to make granola from scratch, but I don't always have the time or the energy. Love Grown Food's granola is an excellent alternative - it's tasty, healthy and kept me full until lunch. Definitely worth a try! 1. 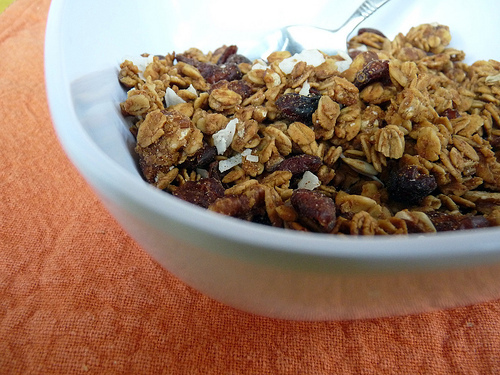 Leave a comment on this post telling me your favorite way to eat granola. You have until Tuesday, March 31 to enter. I'll announce the winner Wednesday morning. And this contest is open to anyone, any where, so don't be shy!